Easily identified by its greenish-white flowers and dark purple berries on red stalks, pokeweed (Phytolacca americana) grows in U.S. Department of Agriculture plant hardiness zones 2 through 11. This dangerous weed has a large root ball and thick, fleshy roots. The berries of this perennial plant are consumed by birds, which then disperse the seeds through their droppings, spreading the pokeweed to other areas. Since all parts of pokeweed are poisonous to humans, livestock and various other species of mammals, you should get rid of pokeweed immediately. Small infestations of pokeweed growing in gardens or hedges can be hand pulled from the ground. For larger infestations, use an herbicide to get rid of pokeweed. Wear work gloves to protect your hands from possible irritation. Grasp the base of the pokeweed as close to ground level as possible. If roots are left behind, new pokeweed plants will sprout. Pull small infestations of pokeweed out of the ground and immediately dispose of the weeds in a sealed garbage bag. Monitor the area regularly and pull any pokeweed plants that emerge. Wear safety glasses and latex or rubber gloves. Pour 1/2 gallon of water into a large bucket. Add 1 to 2 tablespoons of an herbicide that lists Dimethylamine salt of 2,4-D-Dichlorophenoxyacetic acid (2,4-D) as its active ingredient per the package instructions. Mix the water and herbicide thoroughly with a wood stirring stick. Add 1 teaspoon of a non-ionic surfactant to the diluted herbicide. Stir the solution with the wood stirring stick for several seconds. The non-ionic surfactant will help provide better coverage of the herbicide, increasing its effectiveness. 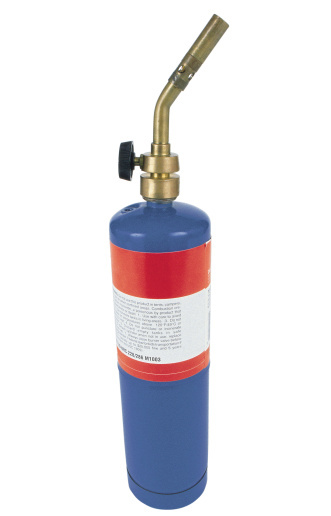 Transfer the herbicide solution to a garden sprayer. Spray pokeweed leaves with the herbicide solution thoroughly until the plant is moist. Protect desirable plants growing near the pokeweed by covering them with a piece of cardboard while spraying the pokeweeds. Monitor the area and spray newly emerged pokeweeds with the herbicide solution as you find them.